Bruno Paul was born in Germany in 1874. 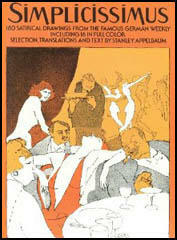 He studied Fine Art at Munich and Paris before setting up a studio with his friend, Rudolf Wilke. 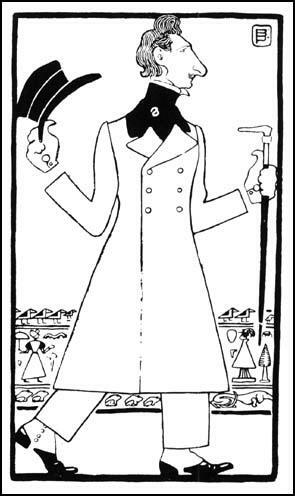 He became a regular contributor to Die Jugend before Albert Langenrecruited Paul to work for Simplicissimus. 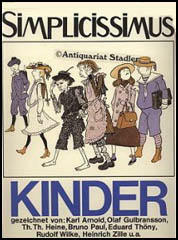 In 1906 several staff members, including Paul, Olaf Gulbransson, Ludwig Thoma, Thomas Heine, Edward Thony and Rudolf Wilke persuaded Albert Langen to change Simplicissimus into a joint stock company. This gave more power to the staff to control the direction of the journal. Paul became Director of the Berlin Museum Art School in 1907. This reduced the time he could spend producing cartoons although he occasionally had his work published under a pseudonym. Bruno Paul died in 1968.